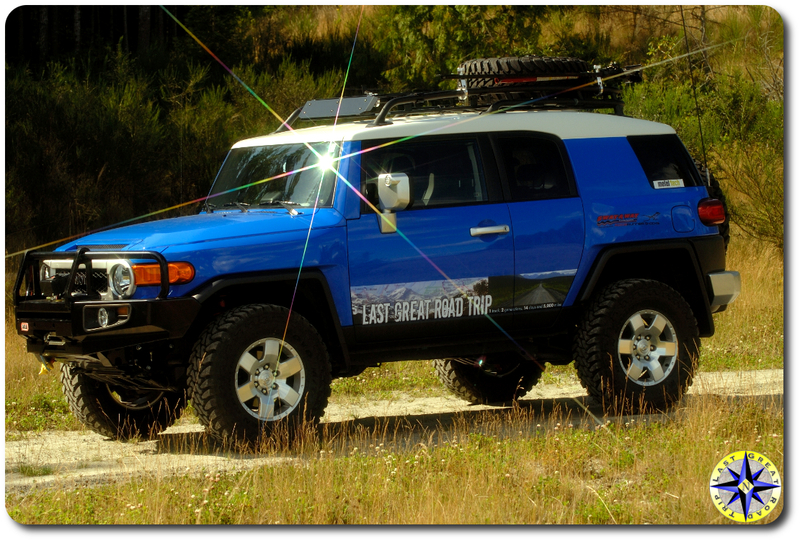 There are a number of aftermarket products for the FJ Cruiser and the list continues to grow everyday. For us one of the first mods we completed was a bumper swap-out to add protection and support a winch mount. Originally we chose a shell style bumper designed for off-road adventures that would allow us to nudge a musk oxen or buffalo gently if it came down to it. Later we swapped out to a tube style for its light weight high strength ratio. When we purchased our shell bumper, the choices were limited. Today not so much. In fact there are more bumper options than pimples on a fifteen year old boy the night of his first dance. Recently we had the opportunity to talk with Mark Hawley of Metal Tech and ask him about some of the things to look for when selecting a bumper. Mark explained that there are two basic styles of bumpers, the shell and tubular bumper. 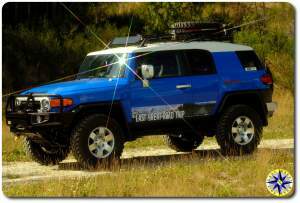 Shell style bumpers are characterized as a box type bumper such as ARB’s Bull Bar or All-Pro Off Road’s FJ front bumper. Although the shell style bumper can appear beefy and protective, not all are engineered to take a blow and deflect the obstacle away from the truck. Look for reinforcement of the outside wing areas and thick steel to prevent twisting into the body in the case of a collision with a rock or tree. 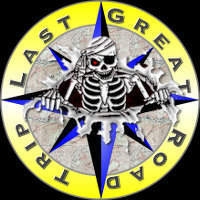 The trade off for sturdy, undeniable protection is weight which can be significant in some cases. Tube style bumpers are designed from tubular steel presenting a more open airy look to the front end. While appearing to be less protective, well designed tubular bumpers are designed to deflect the force of an obstacle away from your rig. 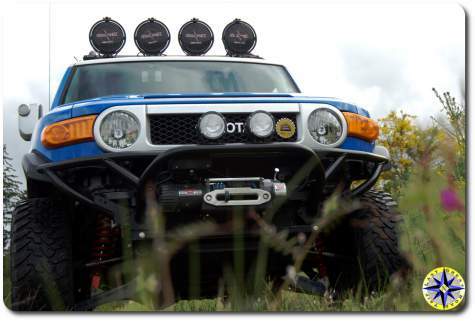 Tubular bumpers are typically lighter and reduce the weight hanging off the front end lending themselves to racing and rock crawling competition rigs. Ultimately the style choice is a personal taste and based on the type of off-road adventures the truck will be set up for. Always research your choices and talk with knowledgeable shops to determine if the bumper is truly designed for the off-road adventures you plan to put it through. Also be sure to ask about installation and lighting options that can add to the cost and installation whoas. Thanks to the ‘blue room forum‘ you can find a number of bumpers compared side by side. You will also find a number of opinions from owners of the different bumpers. Remember it is your responsibility to make an informed choice so always consult with several knowledgeable sources before putting down your hard earned money on any aftermarket product.